6. J. Sweeney 2. M.Harper 3. A. Miller 4. J. Forrest 5. 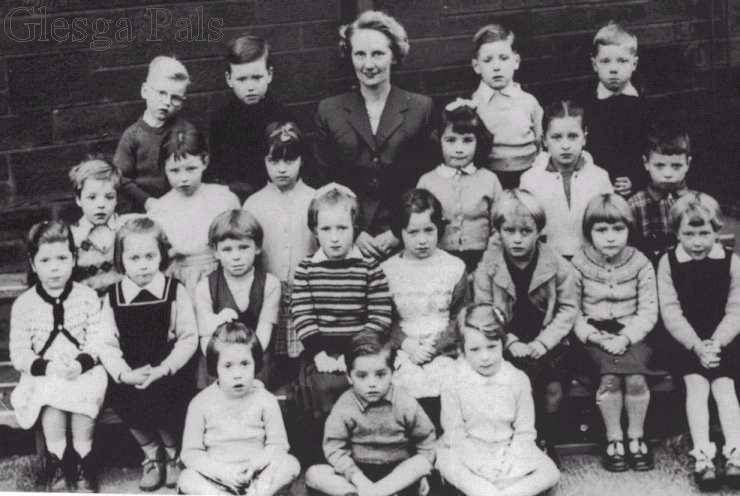 "Webmaister...you asked why none o' the weans are smiling in my school photograph. I cannot vouch for the rest of my class mates but I was in no mood to smile. On the fateful morning before the photo was taken your man here had pulled the chair away from one of the lassies as she was ready to sit down and she just so happened to have a wee bottle of milk in her hand at the time...result being she was covered in milk and I was slapped and battered and exiled into 'no man's land' behind the blackboard. After a while I started to keek roon the blackboard and make faces at my classmates behind the teacher's back. As usual some teacher's pet stuck me in so I was given the strap and shoved behind the blackboard again for my sins. As a wean I was always a keen drawer and always had crayons or pencils in my pockets...so out comes the auld Greyhound crayons and the bold Charlie boy started to draw pictures in this big thick book. After a wee while Miss MacFarlane became curious as to why I was so quiet and stuck her head around the blackboard to see what I was up to...she then let out one ALMIGHTY scream and I was dragged by the neck out in front of the class and literally leathered and thrown about like a rag doll to the background of my teacher's screams of "Heathen" and "Blasphemer" etc.,. Whit I had done I did not know.....how was I to know the book was a BIBLE!!!! Religion who needs it? So I was in no mood to smile when later on that day I had to stand besides my teacher just in case I done something during the photo shoot."